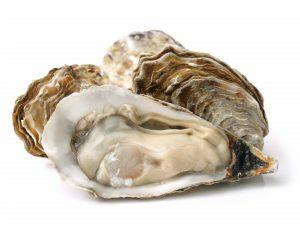 You can get Vibrio by eating raw or undercooked shellfish, such as oysters. Swimming is one of the best parts of summer, but swimming in waters that are warm salt or brackish (i.e., somewhat salty) could put you at risk for infection if you have an open wound, or get a cut or scrape while in the water. Water shoes can help protect you from sharp rocks, barnacles, crabs, and other hazards while in and around the water. One type of bacteria whose natural habitat includes Virginia’s coastal waters is Vibrio. You can be exposed to Vibrio and potentially become ill with an infection called vibriosis by eating raw or undercooked seafood, or by swimming in salt or brackish water with an open wound. You can get vibriosis by eating raw or undercooked seafood, particularly oysters. People who get Vibrio infection by eating seafood usually experience diarrhea and vomiting. Individuals with pre-existing medical conditions such as liver disease, diabetes, cancer, and certain stomach disorders are at greater risk of severe, potential fatal, illness from Vibrio. Learn more with My Meal Detective. Vibrio bacteria thrive in waters that are warm, salt or brackish and tend to cause more infections during the summer months. Anyone can get vibriosis, but infection is more likely when someone goes swimming in waters with an open wound like a cut, puncture or a scrape. Don’t swim in salt or brackish water if you have an open wound. Water shoes can help protect you from sharp rocks, barnacles, crabs, and other hazards while in and around the water. Learn more healthy swimming tips with Swim Healthy VA.